The month of October 2012 was important for all the automobile manufacturers as each year, during this time, they come up with special offers for new buyers who look for a new vehicle just ahead of the festive season. Now whether these offers will benefit all the manufacturers or not, is a matter of time and will only be known once the season is over. As of now we have official sales data of all the leading car makers for the month of October 2012 shared with you below. India’s number one car manufacturer Maruti Suzuki India has shown a cumulative growth (domestic + exports) of 85.5 % in October 2012 with 103108 units as against 55595 units in October 2011. After a really long time Maruti is finally picking up the pace. 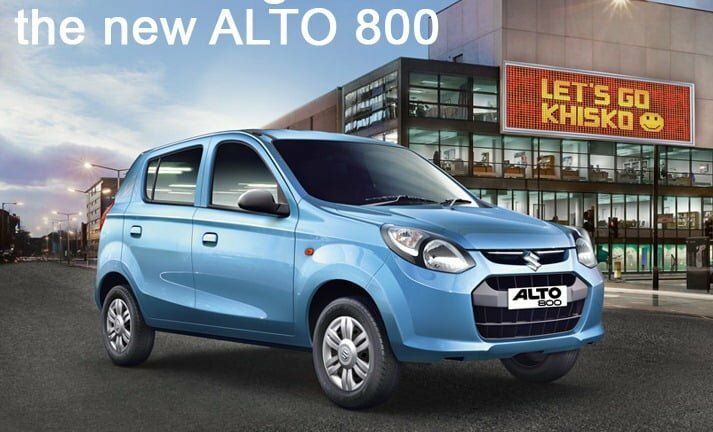 Segment wise the entry level series comprising of Maruti 800, A-Star, Alto and Wagon-R is up by 68.9 %. Swift, Estilo and Ritz together are also up by 106.8 %. SX4 and Kizashi have sold good numbers this month with 117.2 % and 1066.7 % increase respectively. In the compact sedan category the Dzire has started showing improvement with an increase of 187.7 %, while in the utility vehicle segment Maruti’s sales are down by 12.1 %. Hyundai Motors India, the second largest car manufacturer and country’s largest car exporter has registered a cumulative sales growth of 21 % for the month of October 2012 with 58,785 units as against 48,322 units in October 2011. The manufacturer has registered domestic sales growth of 8 % with 35,778 units sold in October 2012 as against 33,001 units in October 2011. Similarly for the sales from exports, the company has registered a growth of 50 % with 23,007 units in October 2012 against 15,321 units in the same month last year. Segment wise the A2 league (Eon, Santro, i10 and i20) has sold 50,146 units, the A3 segment(Accent and Verna) 7895 units, A4 Segment Elantra sold 668 units, the A5 segment Sonata 20 units and lastly the SUV Santa Fe 56 units. Mahindra & Mahindra, India’s leading SUV manufacturer recorded an all time high cumulative growth of 29 % in auto sales with 53,438 units sold in October 2012 as against 41,506 units sold in October 2011. The company’s domestic sales were 51316 units last month as against 39352 units in October 2011, an increase of 30 %. The passenger vehicle segment registered a growth of 44 % with 26932 units in October 2012 as against 18756 units in October 2011. M&M exports have dropped by 1 percent from 2154 units in October 2011 to 2122 units in October 2012. Tata Motors’ commercial and passenger vehicle sales in October 2012 were 71771 units, including exports. This figure expresses a 6 % growth over the figures recorded in last year’s corresponding month. The company’s total domestic sales for commercial and passenger vehicles were 68145 units which is a 7 % increase over 63837 units sold in October 2011. The company’s exports sales are down by 13 % with 3626 units in October 2012 compared to 4171 vehicles in October last year. Tata Nano’s sales are up by 4 % with 4004 units compared to last year October’s 3868 units. Sales for Indica series were at 6692 units as against 10812 units in October 2011, a 38 % drop. The Indigo range recorded a 8 % drop with 5748 units as against 6268 units in October 2011. Utility vehicle line-up consisting of Sumo, Safari, Aria and Venture sales have grown by 12 %. Tata also says that there has been an encouraging response to the all new Tata Manza Club Class sedan. Leading premium car manufacturer Honda Cars India has registered an impressive growth of 46 % during October 2012 with 8085 units sold as against 5526 units in October 2012. The cumulative sales of the company were at 43525 units during April to October 2012 as compared to 29717 units during the same period last year. The company hopes to improve its sales during the festive season. Individual car sales are as follows: Brio – 3700, City – 3976, Jazz – 306, Civic – 60, Accord – 43 and CR-V – 0. Toyota Kirloskar Motors has registered a growth of 14% in October 2012. The growth comes from of October 2012. The company sold 12,281 units in October 2012 as against 10,762 units in October 2011. Model wise distribution is as follows: The Etios hatchback and sedan together sold 4596 units compared to 5859 units in October 2011, thereby registering a 22 % drop. Innova registered a 73 % growth with 5,889 units sold in October 2012 as compared to 3,411 units in October 2011. The SUV Fortuner has also expressed a growth of 81 % with 1378 units in October 2012 as compared to 763 units sold in October 2011. Total Camry sales for the month of October were 332 units. For the month of October 2012, Ford India has sold a cumulative (domestic + export) 10948 units in the month of October 2012, maintaining a steady state. The company’s domestic car sales were at 7577 units as against 8091 units sold in October 2011, expressing a 7 percent drop. As far as the exports of the company are concerned, it exported 3371 units in October 2012 as compared to 2815 units in October 2011, expressing a 20 % increase. General Motors India has reported a decline of 32.87% in its sales with 6754 units for October 2012 as compared to 10062 units sold in October 2011. The October sales include 2904 units of Chevrolet Beat, 2131 units of Chevrolet Tavera, 829 units of Chevrolet Spark, 332 units of Chevrolet Cruze and 112 units of Chevrolet Aveo twins. The newly launched Sail U-VA has registered 423 bookings so far which is quite encouraging. Nissan India has announced that it has registered an year to date sales growth of 88 % with a cumulative sales of 23642 units from April to October 2012 compared with the 12570 units it sold in the same period in 2011. This year in October, Nissan India’s domestic sales were 1862 units as against 2990 units sold in the same month last year, expressing a 38% drop. The two important models being sold by the company, Nissan Sunny and Nissan Micra, made a large contribution to the sales in the month of October. Premium products such as X-Trail, Teana and 370Z also made little contribution. Renault India has sold 6790 units in October 2012, highest ever since their entry into the Indian market. 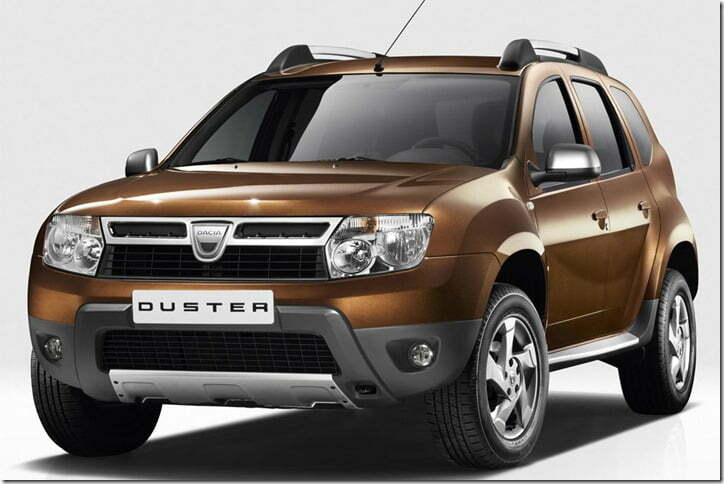 With such impressive figures Renault has overtakes established car brands like Volkswagen, Skoda, Honda etc.The car maker sold 5406 units of the Duster last month while other sold as follows – Scala – 737 units, Pulse – 483 units, Fluence – 107 units, and Koleos – 56 units. On the way to its set target of 8000 units for the year 2012, Audi India has sold 580 units in October 2012 as against 482 units sold in the same month last year. This accounts for a growth of 76 percent over the numbers it sold in October 2012. As far as the company year to date sales are concerned, it sold 7267 units from January to October 2012 as compared to 4692 units in the same period last year, thereby showing an increase of 55 %. Volkswagen India has sold 5607 units in the month of October 2012 which expresses 8.45 % increase over the figure it sold in October 2011. Respective sales for the product line-up is as follows: Polo – 3399 units, Vento – 1894 units, Jetta – 207 units, Passat – 93 units, Touareg – 14 units and Beetle – 0 units. Skoda India sales data for the month of October 2012 shows that the sales are down by 23.27 units with 1781 units sold. Majority of the sales, 1131 units come from Rapid sedan, while Fabia contributes the second highest 256 units. Laura sold 225 units while the Superb and Yeti sold 163 and 6 units respectively. Sales data for the month of October 2012 is not available as of yet. We will update this section soon. For information on Indian car sales reports from the past, check out previous months sales report data here.